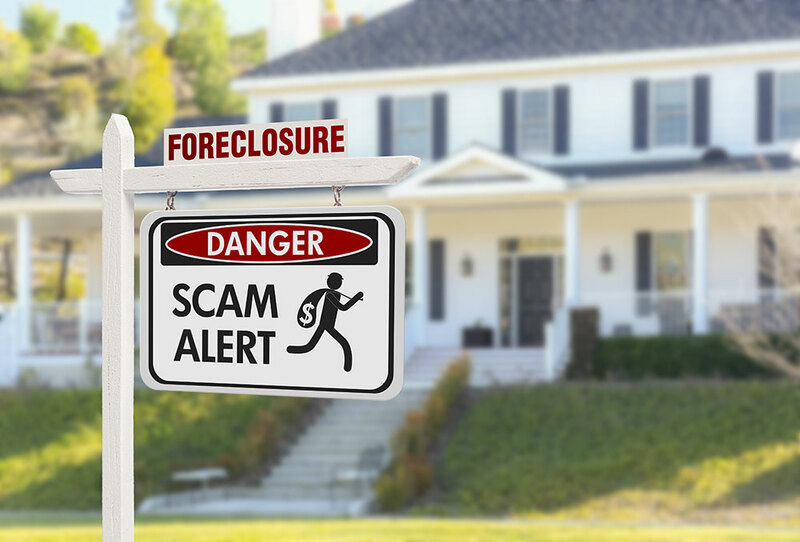 If you’re facing a foreclosure, you’ll need help. But thieves will prey on homeowners in need. They’re like wolves in disguise. They claim to help, but most often they will just rip you off. What really happens: They take your money, but don’t call your lender. Or they’ll have you work with their “in-house” lawyer, who’s in on the scam. Then your house gets foreclosed and you’re out of luck. DCBA’s tip: Never ignore notices. Talk to your lender directly and call DCBA for free help. What really happens: A bankruptcy can delay the foreclosure but it won’t stop it. They’ll take your money but won’t file anything. If they do file a case, they won’t follow up and you will lose your home. DCBA’s tip: If you’re thinking of bankruptcy, contact a legitimate attorney. What really happens: There is no guarantee that a forensic loan audit, even if done by a legitimate, licensed professional or lawyer, will help you get a loan modification or stop a foreclosure. You will lose even more money and still lose your house. DCBA’s tip: Do not pay anyone upfront fees for foreclosure help. Call DCBA for free help. What really happens: The papers you sign transfer ownership of your house to them. They sell the house without your knowledge or take out loans. They don’t pay your mortgage. Your house gets foreclosed. You get evicted. DCBA’s tip: Don’t sign anything you don’t understand and don’t transfer ownership of your house to anyone. It’s a bad idea and you’ll end up losing your home. Contacts you by phone, mail or door-to-door. Guarantees to stop the foreclosure or promises it will be quick and easy. Tells you not to contact your lender, lawyer, or credit or housing counselor. Encourages you to lease your home so you can buy it back later. Tells you to make your mortgage payments directly to them instead of your lender. Claims to be honest because he is the same religion, race or ethnicity as you. Offers “testimonials” from other customers. Asks you to transfer your property deed or title to them. Pressures you to sign paperwork you haven’t read or that you don’t understand. Call DCBA. All of our services are free. Call us at (800) 973-3370. Talk to your lender. Many lenders have new programs for homeowners in financial need. Contact a HUD-approved housing counselor. A housing counselor can negotiate with your lender. Call (888) 995-4673 or go here to find one.